The number of UK and Irish travellers choosing a river cruise hit an all-time high of 150,300 in 2015, showing an increase of more than 10,000 passengers compared to the year before. With numbers like this, there’s no denying that the river cruise is making waves in the sector. By the end of 2016, 18 new river cruise ships will have joined the 170 ships that already cruise the world’s rivers, followed by another four in 2017. But why the sudden appeal? Yes, it’s true that we have seen a number of innovations on board, but for me the real heroes for river cruising are the destinations. 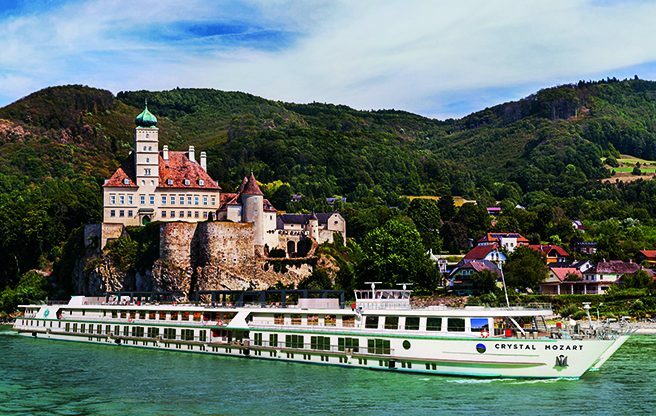 Europe remains the most popular region accounting for 87 per cent of river cruises taken by UK passengers, and the Danube is becoming one of our most popular rivers, thanks to its major attractions such as Budapest, Vienna and several Austrian and German wine destinations. But what gives the Danube the edge? For me it’s the journey itself; with the opportunity to take in Europe’s most revered landscapes dotted along the river banks. July 2016. 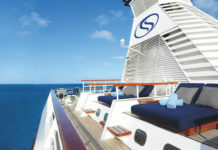 The first out of five of Crystal Cruises’ new river ships. And it would be remiss of me to forget Europe’s other shining stars, including our most popular European river the Rhine, as well as the Rhône, known for their enchanting castles, medieval towns and dramatic landscapes. But as the demand for river cruising continues to grow, Europe is facing some stiff competition from the rest of the world and you can now find itineraries through South America, Africa, Asia and the US. We’ve seen a boost in passengers to the Mekong River in Southeast Asia (up by 76 per cent) and the Irrawaddy River in Myanmar (up by 5 per cent) in 2015. New options in Vietnam and Cambodia include itineraries from AmaWaterways, with the chance to sail along the Mekong exploring rural villages, floating markets and a Buddhist monastery. Unlike other travel trends that come and go, it’s clear to see that river cruising is here to stay. All the major players want a piece of the action, and it’s triggered a surge in new ships and refurbishments. 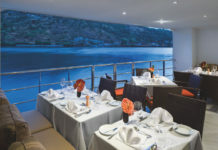 While it won’t ever match the same numbers as ocean cruises, river cruises put the destinations in he spotlight to offer an unrivalled intimate and immersive experience.